POParitaville: 'Hulu' to Begin Charging Fees in 2010? 'Hulu' to Begin Charging Fees in 2010? Since it's inception, I have been a huge fan of Hulu.com. I was lucky enough to get in to it during it's beta testing and loved it right away. The quality, the extensive content, the ability to share..it was a delight and shock that this was being presented by two networks. NBCUniversal and FOX News Corp. were now ahead of the game treating viewers to ad supported streaming content of network shows. It's because of this site that you can now view almost all current shows from any network online, either at Hulu, Fancast or on the shows main site. Television is in the midst of a viewing revolution and Hulu was making it's mark. But when it was announced that Chase Carey was coming back to run News Corp. grumblings began surfacing that he wasn't happy with Hulu being free. Even Disney jumped on board and began providing content from ABC. Well this was both a great thing, and a turn that made you wonder if this was too good to last. Yes, every business needs to turn a profit. That's a given and no intelligent person will argue that. Here's the problem with their way of thinking. They have already been giving the content to us without having us pay. Why on earth would we stick around once you change that on us. While they were finally ahead of the game by creating the site and delivering quality, they never hinted to the audience that they would make them pay for it soon. 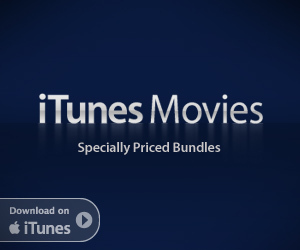 They may be thinking that, "If people are paying for content on iTunes, they'll pay here." Here's the thing Chase, iTunes was never free. We went there knowing full well that we had to pay for what we wanted. The moment Hulu changes to a subscription site is the moment Hulu dies. Are there ways of convincing people to stay and pay? Maybe. But Hulu would have to offer things they don't now. The ability to download a program is one, perhaps an app for streaming content to your mobile device. Oh, wait. I already have that..it's called iTunes. So why go to Hulu when the reason we were going there in the first place is being taken away? Then again, maybe they've discussed these issues at a Hulu board meeting, but since Chase admits that's only been to one since he came back to News Corp., he seems to have missed those memos. You can be sure that should Comcast acquire NBCUniversal (which is looking more and more likely), they will absolutely be on board with a subscription service. What say you? If Hulu.com goes to a subscription format will you bother sticking around? Take the jump B&C.com for more on the story.